Abhimanyu Mithun (Kannada: ಅಭಿಮನ್ಯು ಮಿಥುನ್) (born 25 October 1989) is an Indian international cricketer. In first class cricket, he plays for Karnataka. 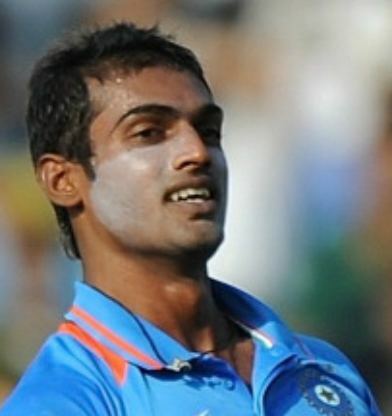 A right-arm fast-medium bowler, Mithun was called up to the India squad for the first Test against South Africa in 2009–10, only ten weeks after making his first-class debut. He has also played in the IPL for Royal Challengers Bangalore. He proved that he certainly has some potential with the bat & can become a seam bowling all-rounder in future. As a teenager, Mithun was a [Javelin] thrower, competing at state-level. Despite training at his father's gym throughout his teens, he failed to progress with his discus throwing, and a friend suggested that he join a cricket camp. Until the age of 17, he hadn't bowled with a leather ball. Royal Challengers Bangalore's head coach Ray Jennings eulogised about him, describing him as an "express bowler", but he had a quiet IPL. His first-class debut reinvigorated the potential; he claimed six wickets in the first innings, followed by five wickets in the second, including a hat-trick. 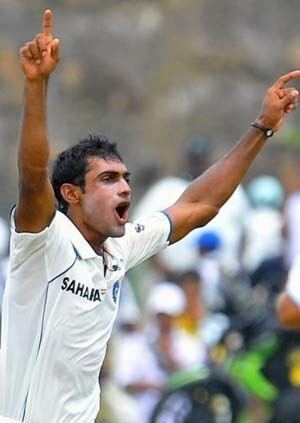 During the ensuing season, he displayed his credentials, claiming another five-wicket haul, and taking 47 wickets to finish as the highest wicket-taker in the 2009–10 Ranji Trophy. His call-up to the India national cricket team to replace the injured Sreesanth came little more than ten weeks after his first-class debut, but his Karnataka coach Sanath Kumar was not surprised; "From day one we knew he had the potential, he has the pace, bowling around 140kmh, and he has performed in every game, whether it is junior cricket or first-class cricket. He made his debut in One Day Internationals in the third and final one day match against South Africa in the 2010 season. His Test debut was against Sri Lanka on 18 July 2010, at Galle, in which he claimed four wickets. He batted at No. 11 in the first innings, but after looking more solid than his fellow bowlers, he was promoted to No. 9 in the second innings and scored 25. "But he was not given proper chances to play for India but he is good consistent bowler.In the 2015 Indian Premiere League,it was announced that he would be playing for Mumbai Indians as a good death bowler. 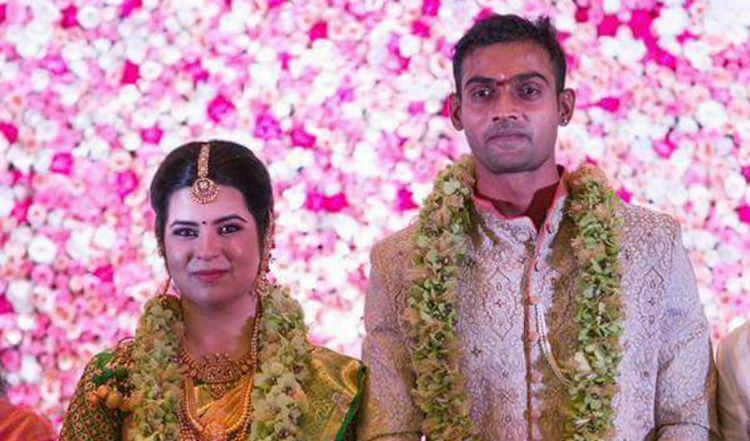 Abhimanyu Mithun married his girlfriend Rayane, the daughter of actress Raadhika Sarathkumar on August 28, 2016. Their wedding was graced by the cricket and politics fraternity.